While typical hiking clothes are meant for function over fashion, there are ways to spice up your scenic selfies. 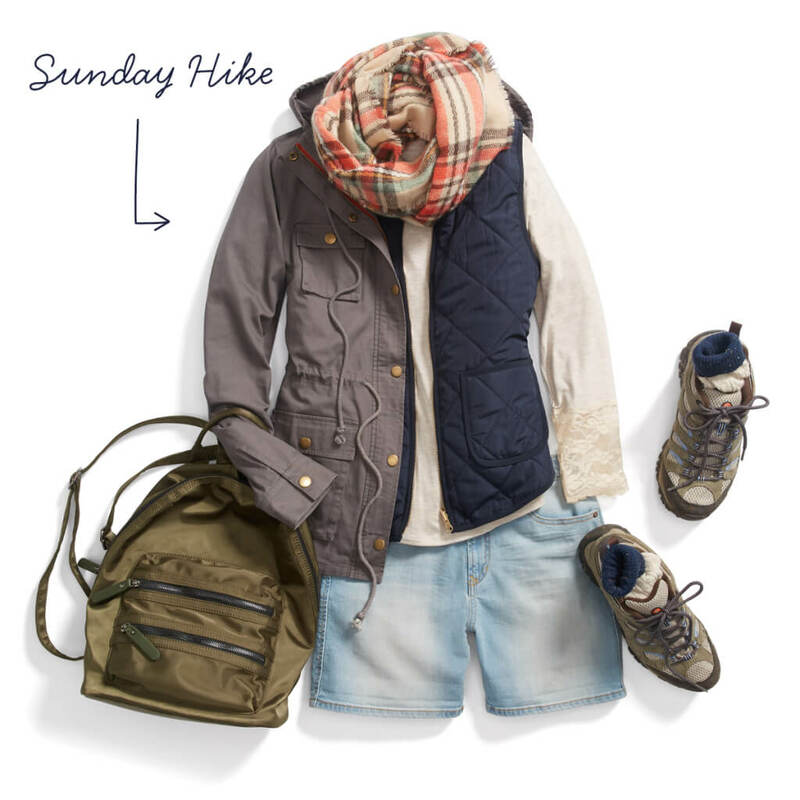 For a low-key hiking date or any outdoor excursion, layer up in lightweight outerwear—like an anorak over a quilted vest with a printed scarf. Opt for knits with fun details like lace or cutouts. Then, keep your hands free with a utility-inspired (but still cute) backpack—it’s the perfect carryall for snacks, water bottles or whatever the great outdoors throws at you. A top knot or loose braid & stud earrings will be both functional & picturesque. Good luck on your next trek and don’t forget to pack plenty of water!